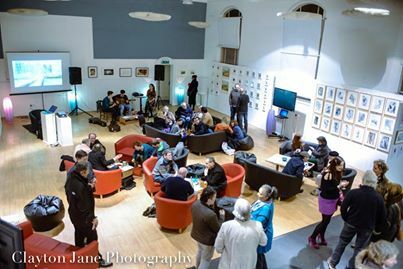 Creatives Club is an informal networking group that meets to provide a place where the local, but dispersed community of professional creative people can come together to share interests, bounce ideas around, spark off one another, create opportunities, increase exposure, explore collaborations and build ventures. The group will meet between 7.30 and 10 pm on the second Tuesday of every month at CICCIC, Paul Street, Taunton. Licensed bar and cafe. Practising artists and designers will have the opportunity to showcase their work. Members will have fun producing something creative. ‘Creative Club’ CPD workshops, talks, activities, study tours. Calling all Digital, Graphic, Traditional & Motion Artists & Photographers!